Classically styled jumper fences, great for barns just starting out, or as a fresh new addition to your existing collection. 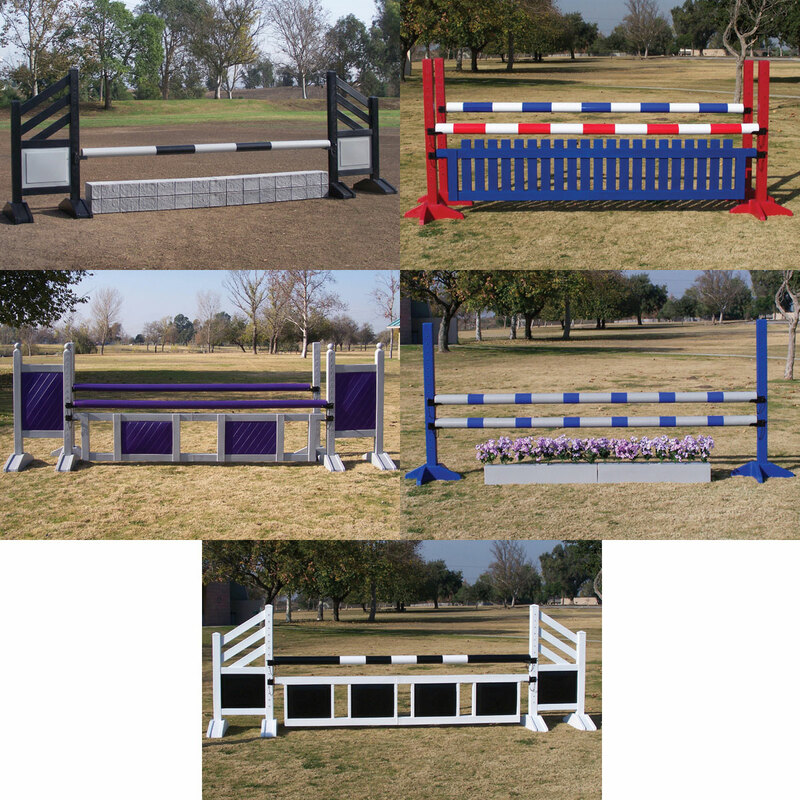 The Beginner Jumper Course is a five jump set with 3 verticals and 2 oxers. All standards are 5' and jump poles are 10'. 8 Perfect Poles - 10 ft.
From the forest to your arena this birch pole is milled to 3 1/2". The Birch pole has the weight of wood combined with the long lasting, color fast durability of rotational molded polyethylene. 8 Poles Per Set. Enhance your course with this vibrant jump! Includes 2 wing standards, a gate, 2 perfect poles, and 6 jump cups! All jump components are coated in polyethylene making them durable and weather-resistant.